Joining Suzuki's SS Series. The new DF150SS with bold Matte Black paint is ready to increase the fun factor where ever you take your boat. This Big Block 150SS is based on an inline four cylinder DOHC powerhead with 2,867cm³ (174.9 cu.in.) displacement, producing exceptional acceleration and torque. Available for both 20" and 25" transom, the DF150SS is ready for Bass Boats, Flats Boats, Bay Boats, Performance Pontoon Boats and just about any boat rated to handle this much fun. 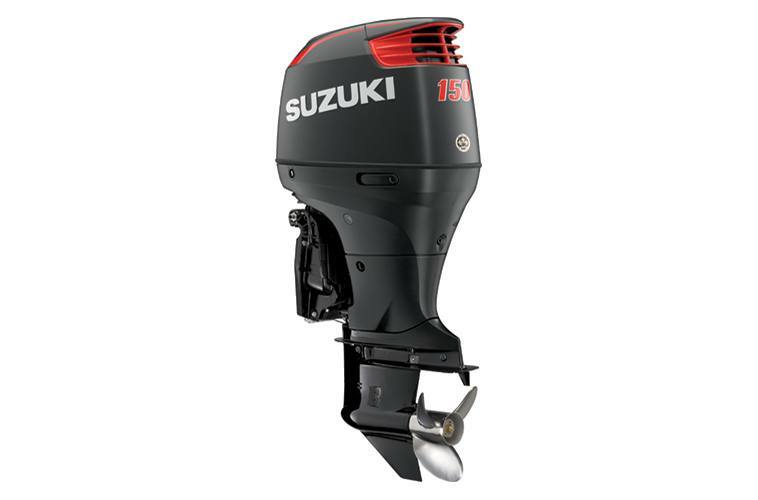 Get on down to the local Suzuki Marine Dealer to be the first one on your block with a DF150SS.